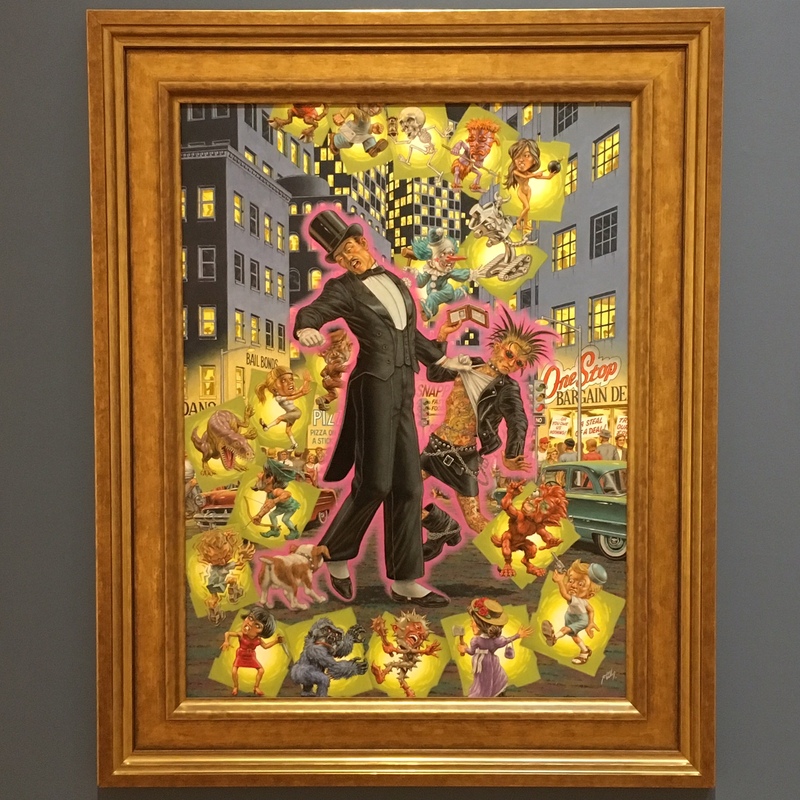 Robert Williams: Slang Aesthetics! 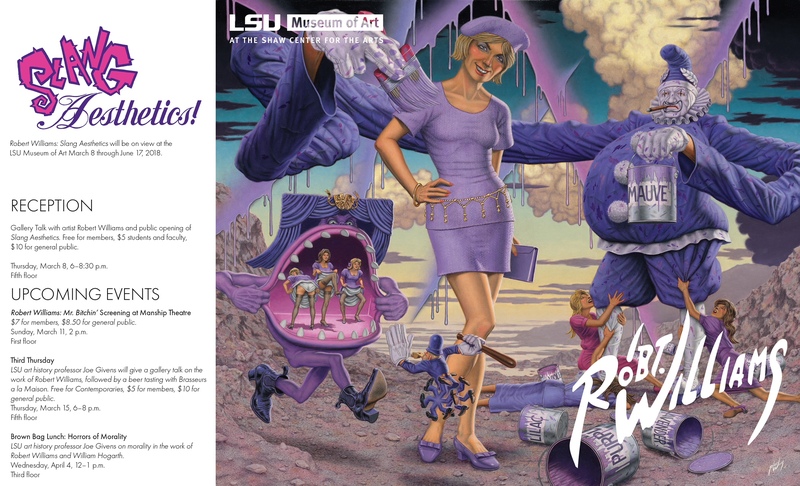 visits Louisiana with the opening of it’s latest showing this Thursday, March 8th, at the LSU Museum of Art. 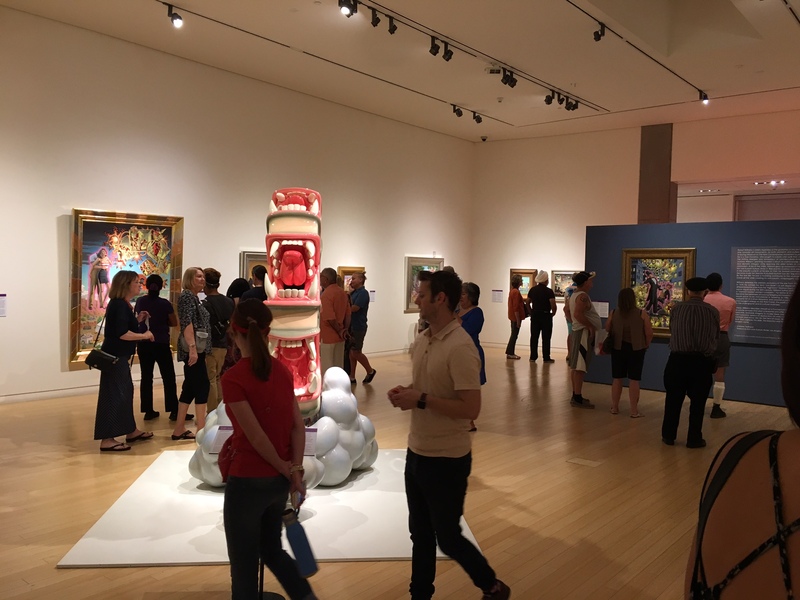 The exhibition will be on view throughout the spring and summer, closing June 17th. 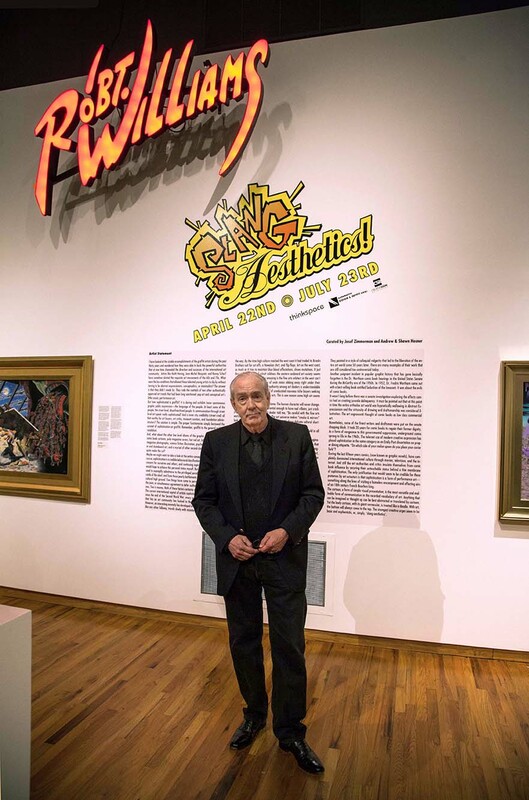 Presented courtesy of the artist, Thinkspace Gallery, and Josef Zimmerman, Robert Williams: Slang Aesthetics showcases 25 new oil paintings and ephemera by the artist upheld as the godfather of the lowbrow and pop surrealist art movements. 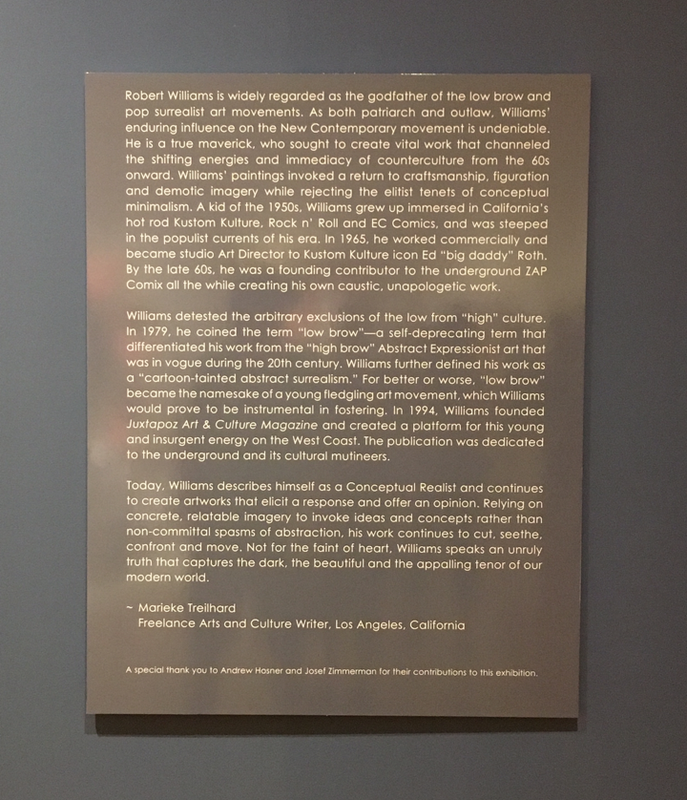 A true maverick who sought to create work that channeled the shifting energies and immediacy of counterculture, from the 1960s onward, Williams’ paintings invoked a return to craftsmanship, figuration and popular imagery that rejected the elitist tenets of conceptual minimalism. 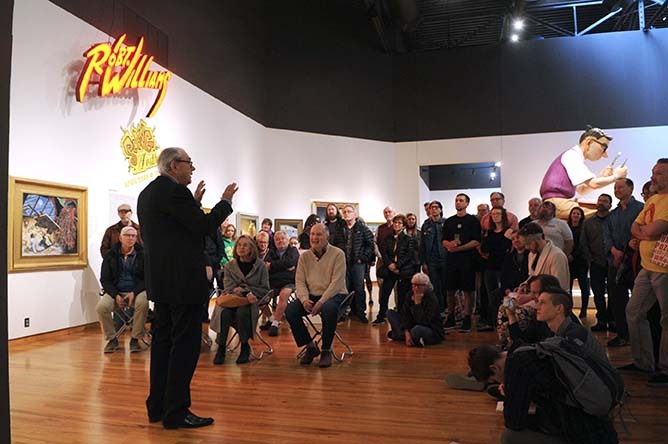 Robert William’s ‘SLANG Aesthetics!‘ currently on view in Mesa, Arizona at the Mesa Contemporary Arts Museum, grabbed the attention of the Phoenix New Times who connected with Williams for a ten question interview. 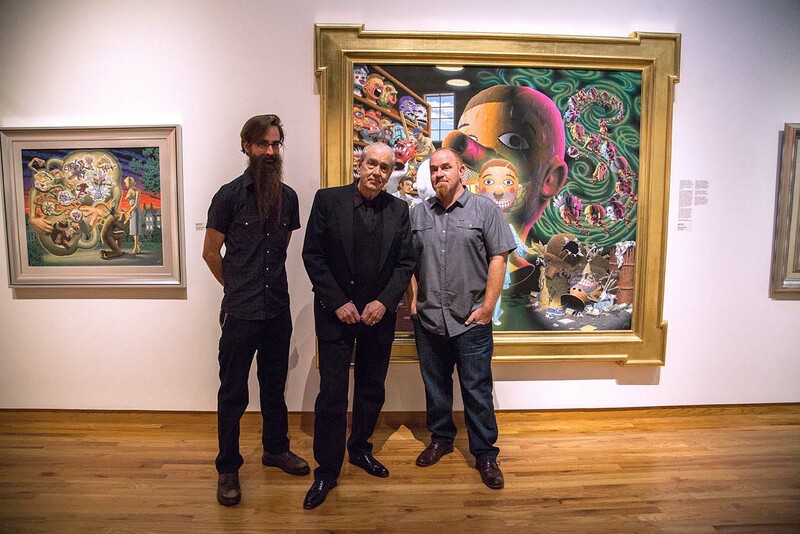 Read the full interview on the Phoenix New Times website. 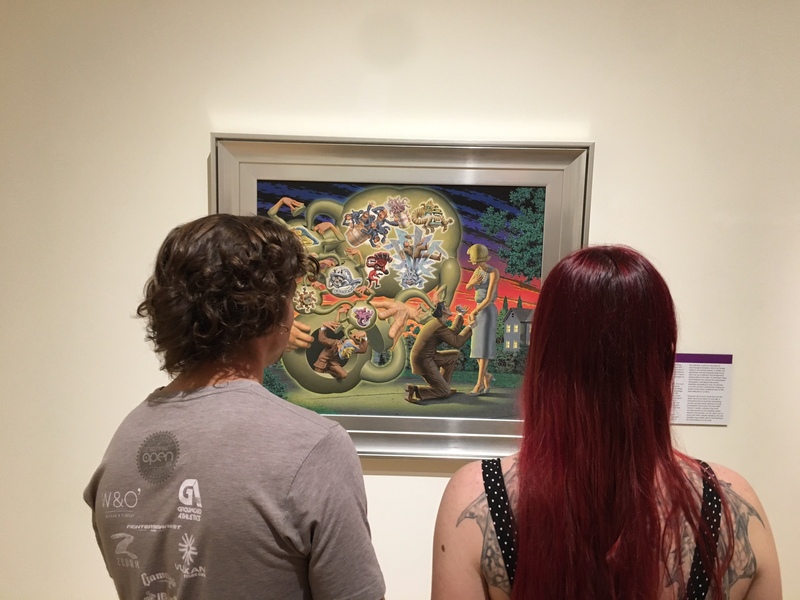 Are you part of a specific art movement? 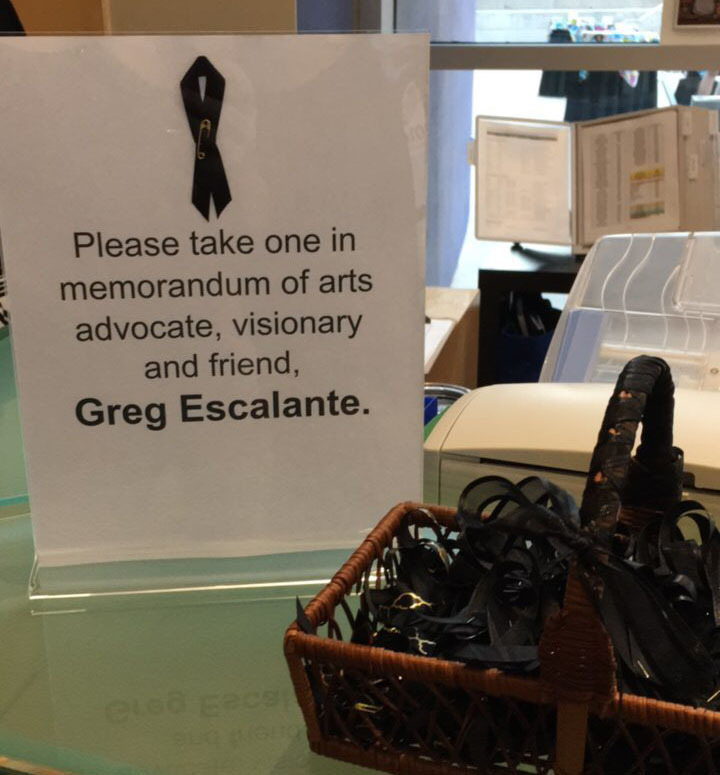 I belong to an arts movement that’s kind of undefinable. 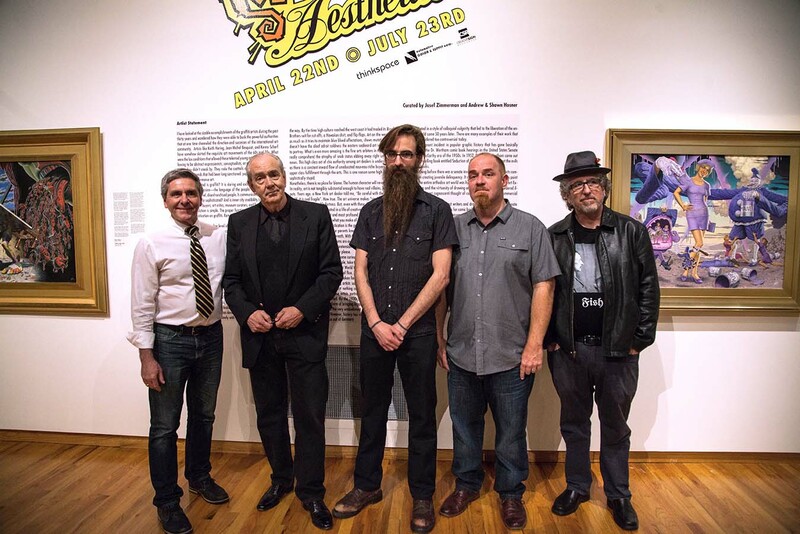 It’s kind of a feral art movement of realists that have been scourged and put themselves back together over the past 30 years. 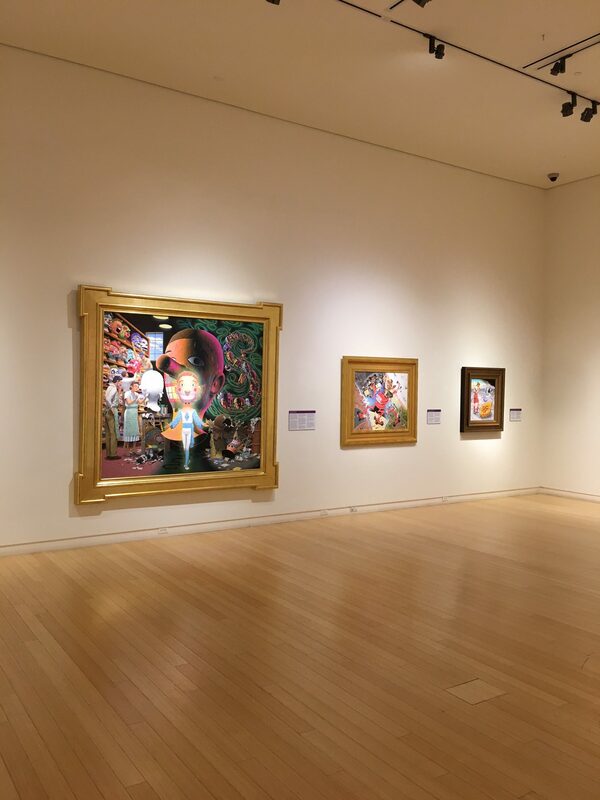 It’s been difficult to be a realist since World War II, because abstract expressionism has cramped realism, and pushed it towards illustration. 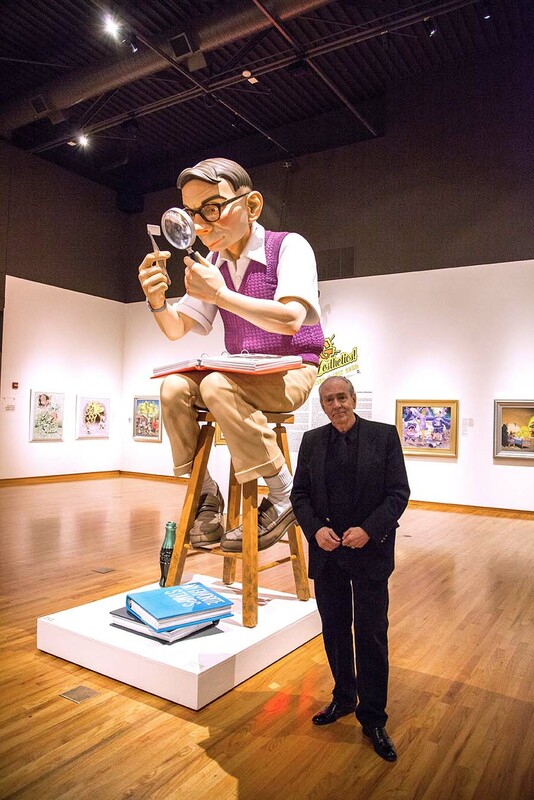 When I was an art student in the early ‘60s, you were either an abstract realist or you weren’t anything. 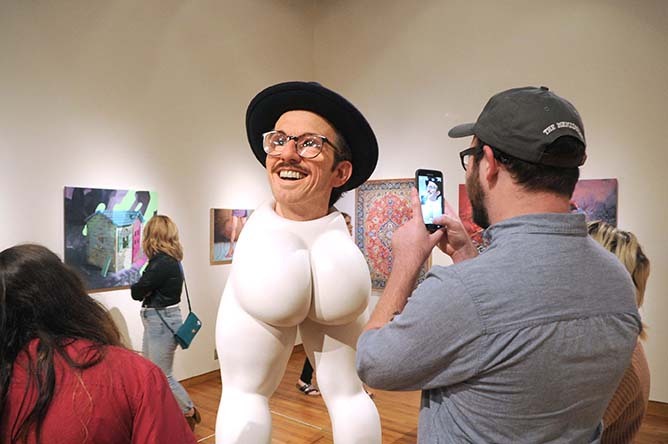 But a lot of mangy characters have come back to realism through surfer art, hot rod culture, skateboard art, and tattoos. 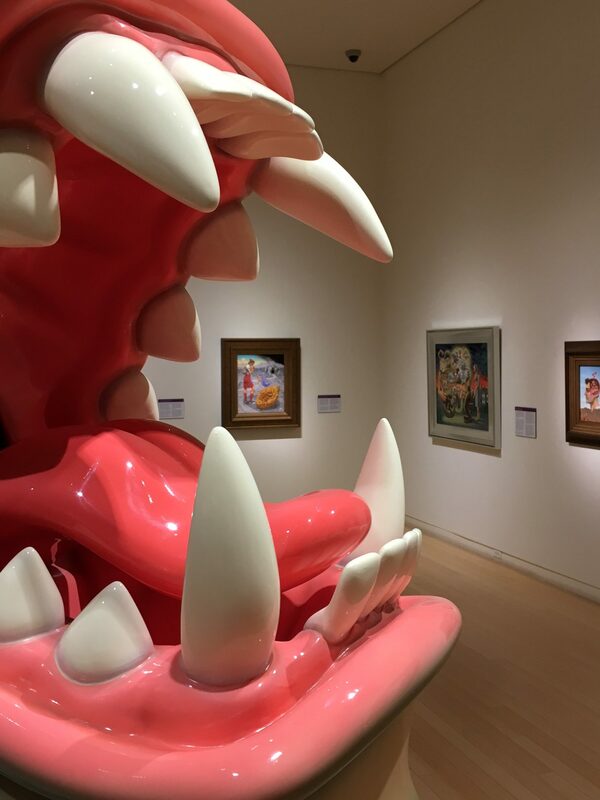 The art world put its foot on the neck of those things, and I’m an evil product of that. 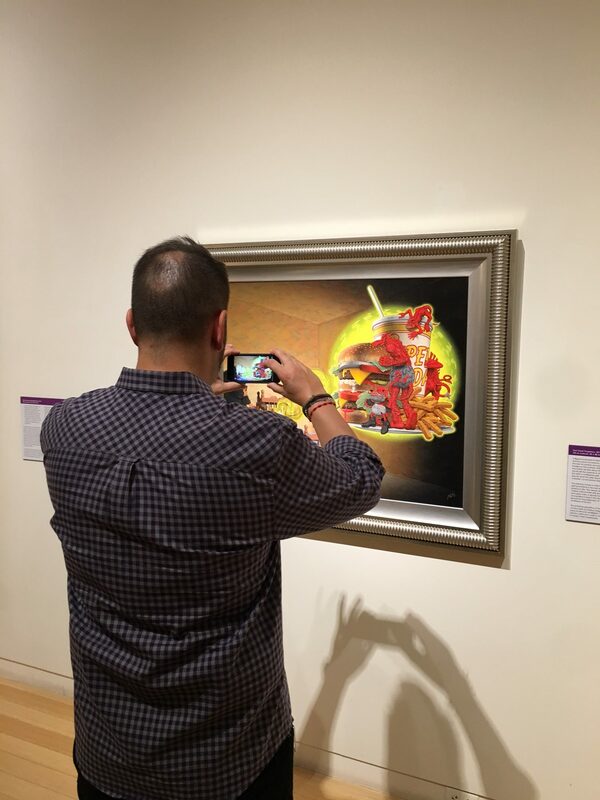 I’m considered the father of lowbrow art, although it’s not a great term. 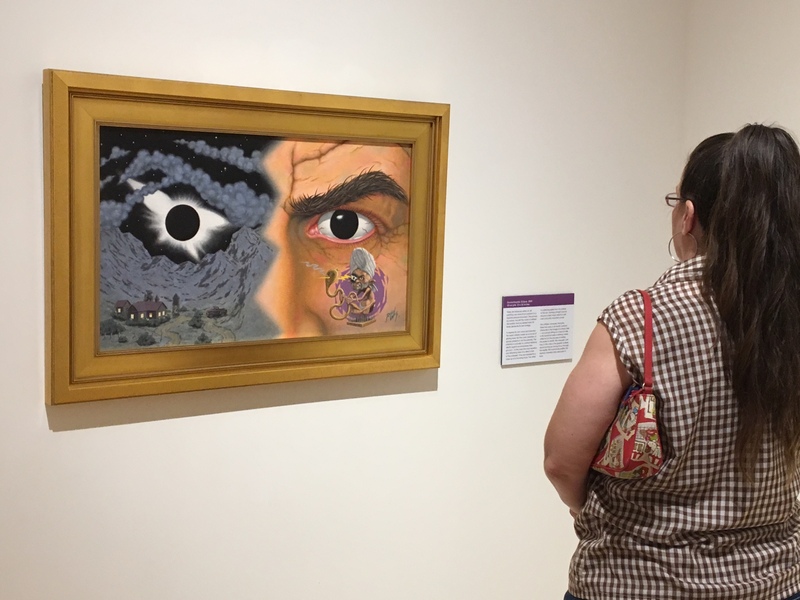 A lot of young artists prefer the term pop surrealism, but that’s not applicable to me. 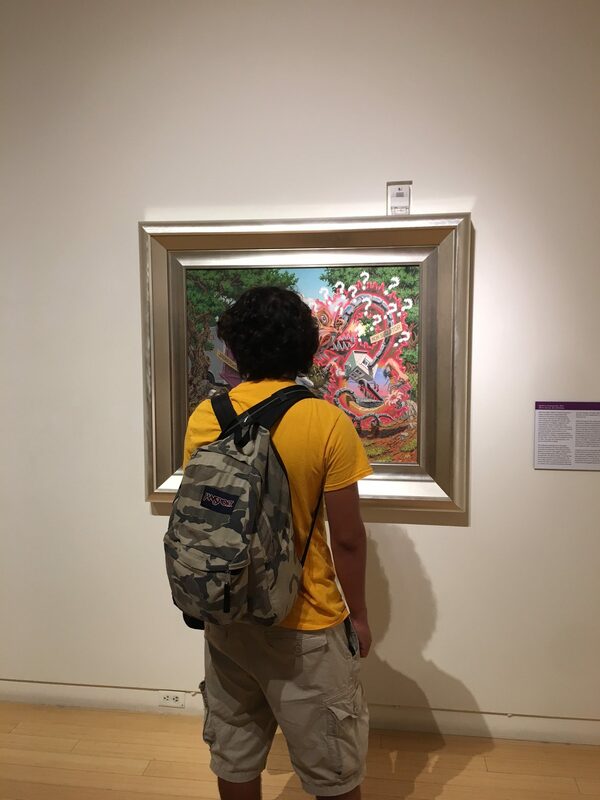 I’m just left in the bushes, in the wilderness on my own. 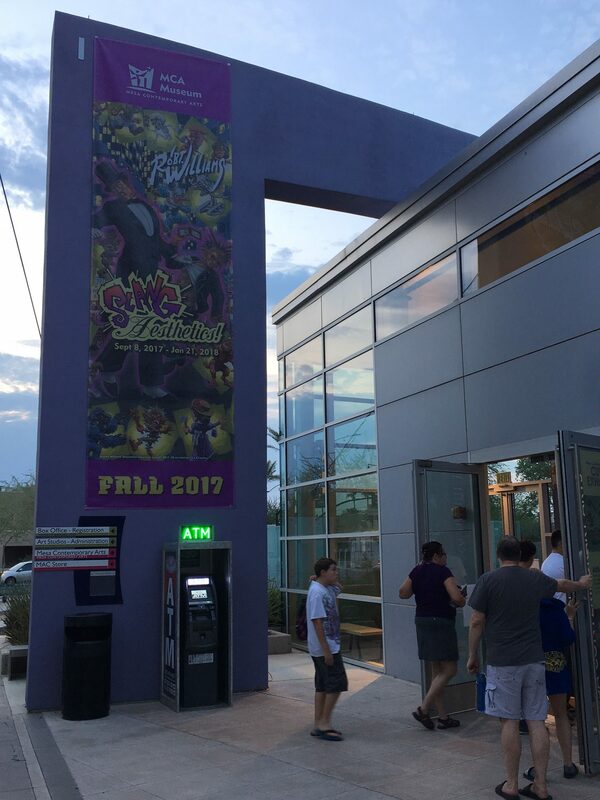 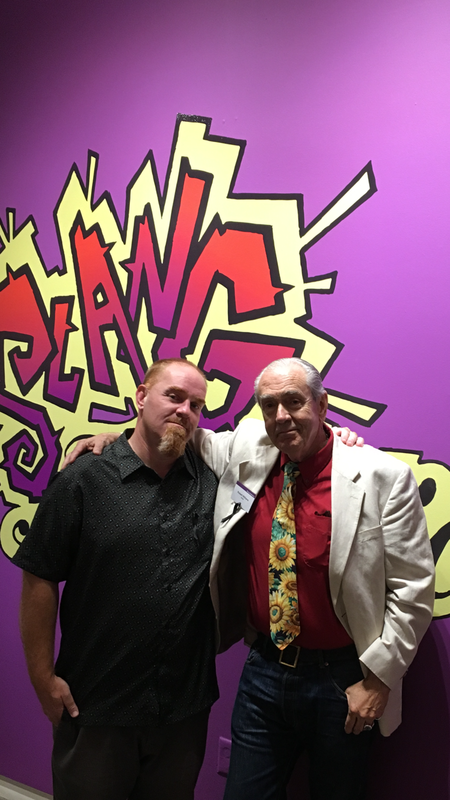 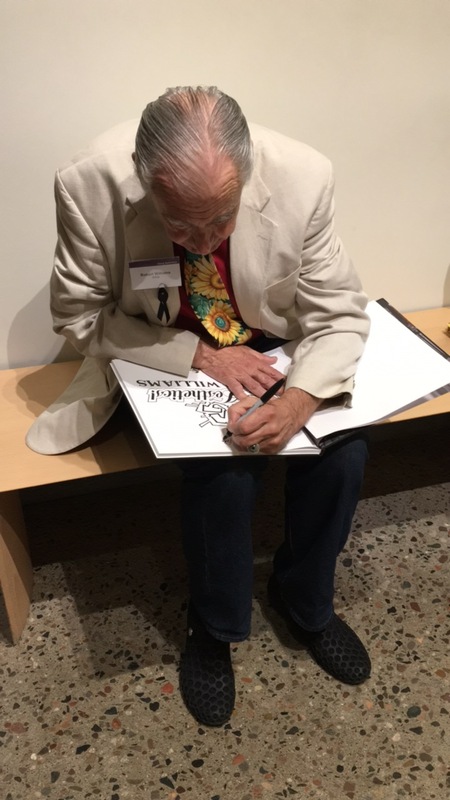 Robert William’s “SLANG Aesthetics!” opened at The Mesa Contemporary Arts Museum on Friday, September 8th. 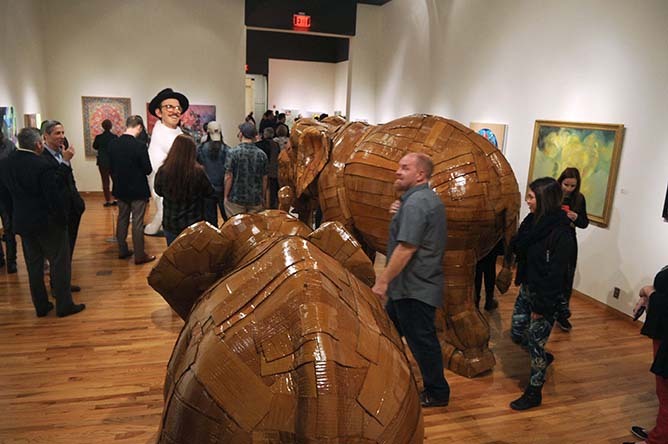 The loss of friend and fellow art advocate Greg Escalante hung in the air, but the night proceeded as a celebration of the movement Escalante and Williams built together. 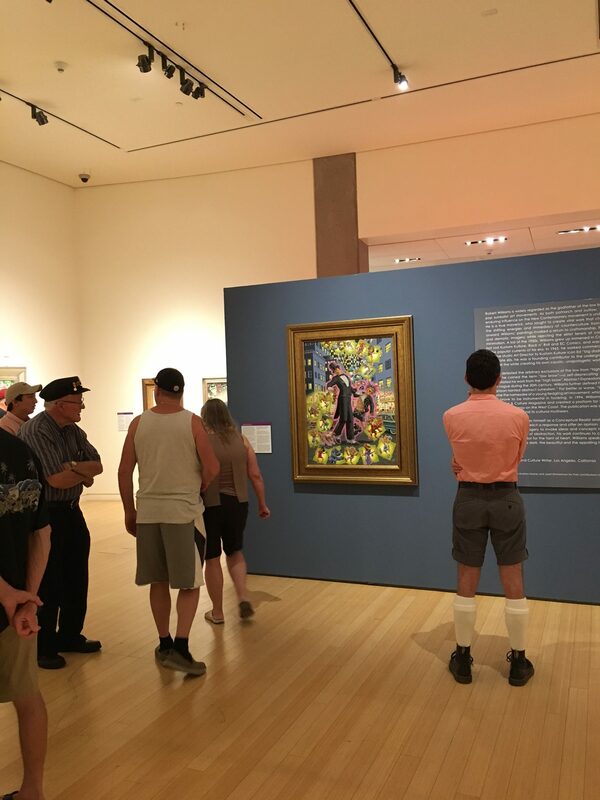 It’s the last week of ‘Juxtapozed‘ and Robert William’s ‘Slang Aesthetics!‘ at the Fort Wayne Museum of Art. 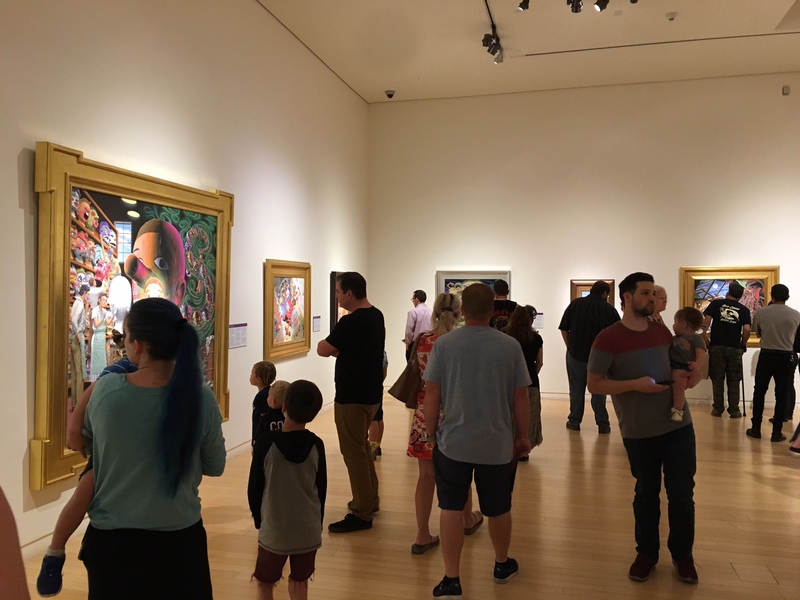 With the holiday weekend in full swing, our friends in the Midwest should head out to the Fort Wayne Museum of Art and see these amazing exhibitions that will be closing after Sunday, July 9th. 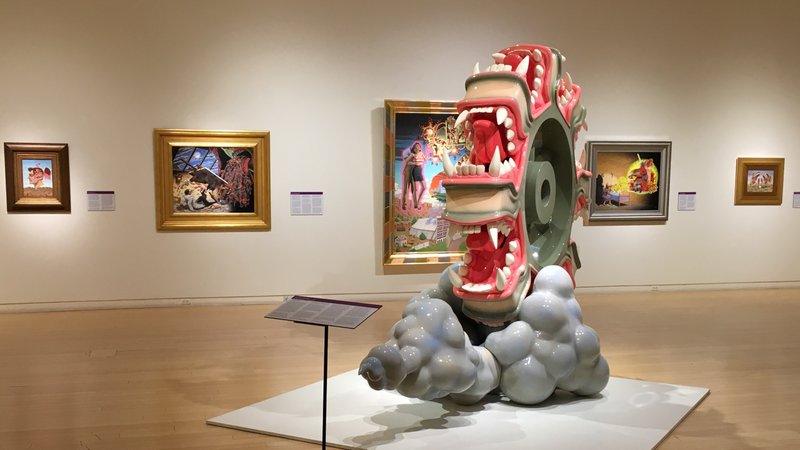 ‘Slang Aesthetics!‘ showcases the work of influential artists Robert Williams, who is known as the godfather of the low brow and pop surrealist art movements. 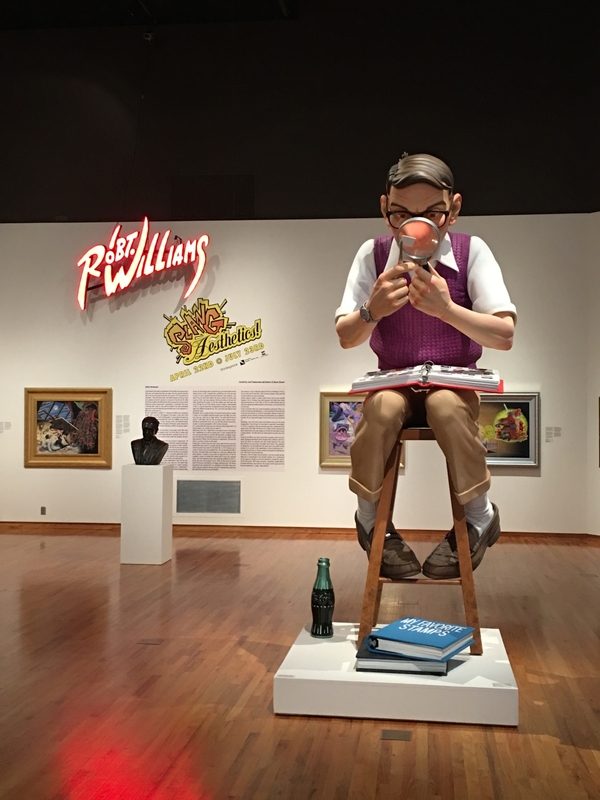 The exhibition displays paintings, studies, and massive sculptures that are doorways into the mind of Williams. 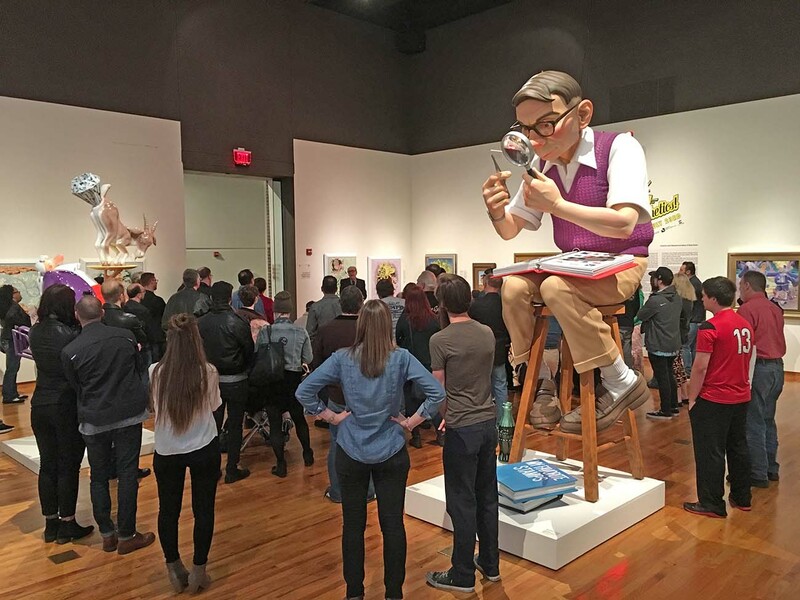 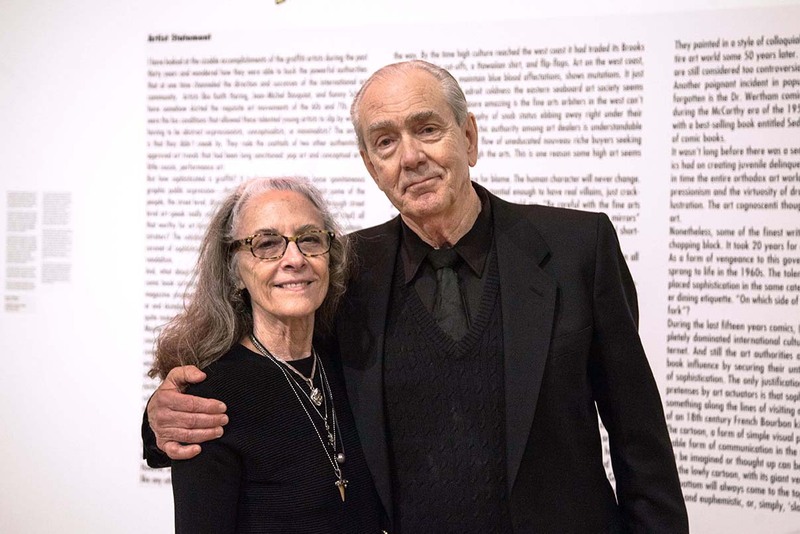 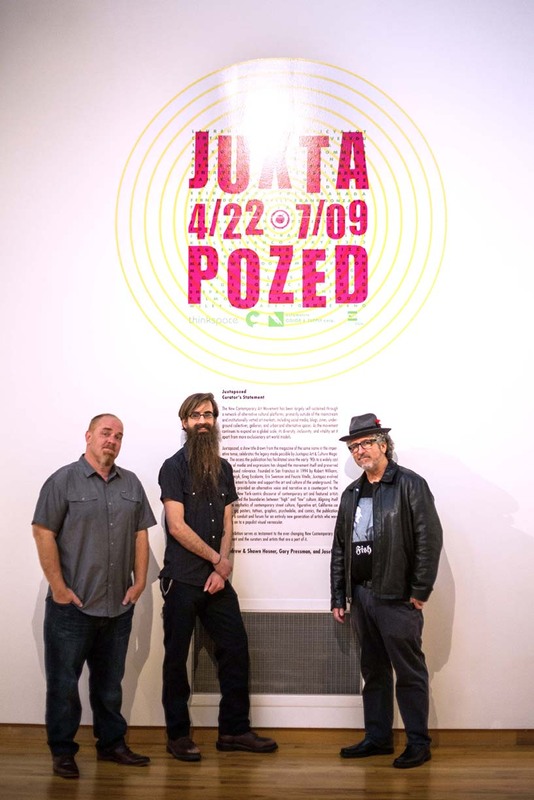 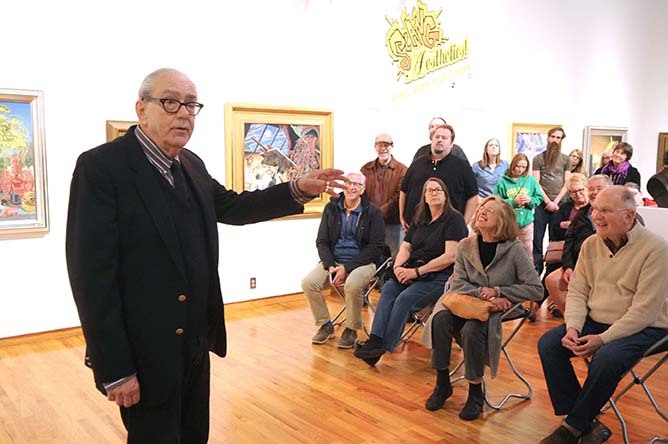 ‘Juxtapozed‘ co-curated by Andrew Hosner of Thinkspace Gallery, Gary Pressman of Copro Gallery, and Adjunct Curator of the Fort Wayne Museum of Art, Josef Zimmerman, is the second installment of exhibitions the gallery has brought to the Museum to date. 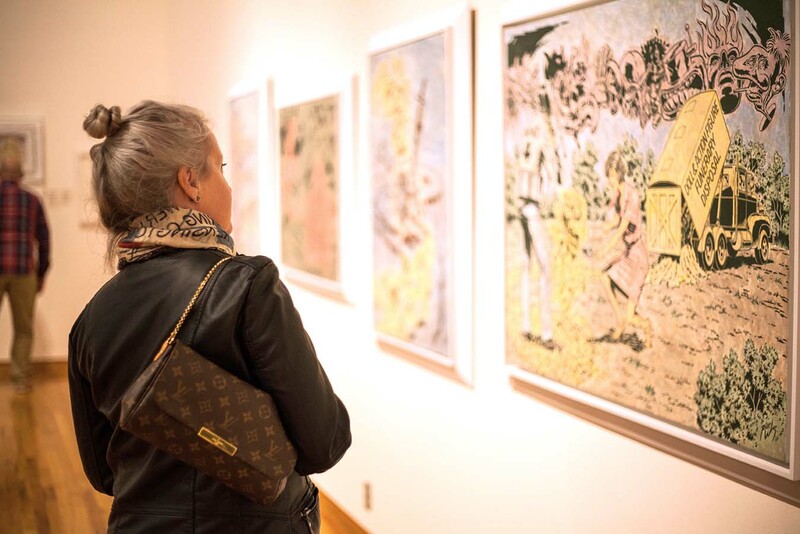 The exhibition showcases new and exciting work from the steadily expanding New Contemporary Art Movement. 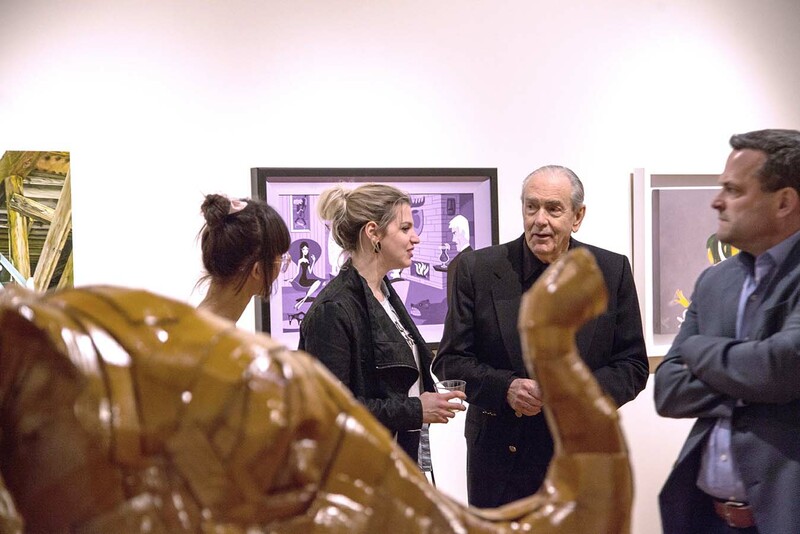 A continuation of Thinkspace’s mutually reinforced mission to garner institutional exposure and recognition for New Contemporary Art, its history, founders, key players, and artists, the exhibitions celebrate the impact of its most enduring media platforms, Juxtapoz Magazine, and the work of one of its most iconic trailblazers. 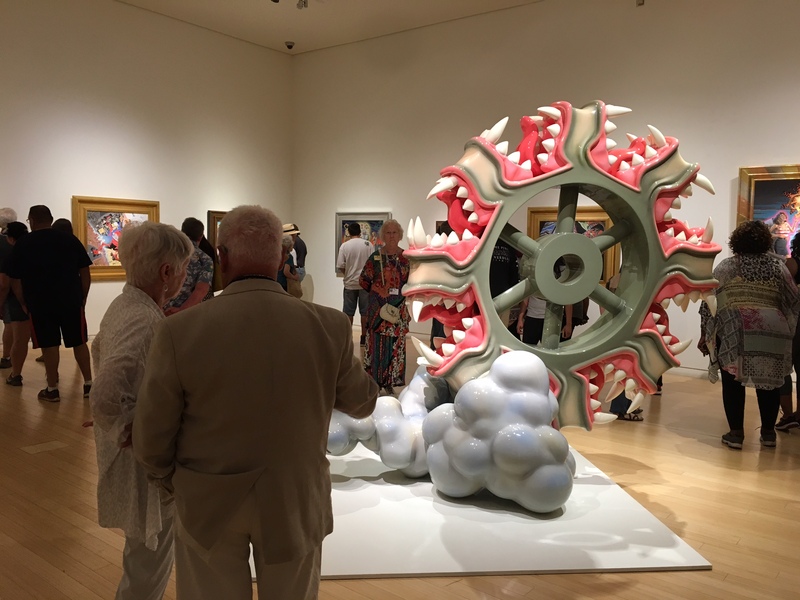 Now widely considered the largest and longest running art movement in history, the New Contemporary Art Movement encompasses everything from Street Art and Muralism to Pop Surrealism and Hyperrealism. 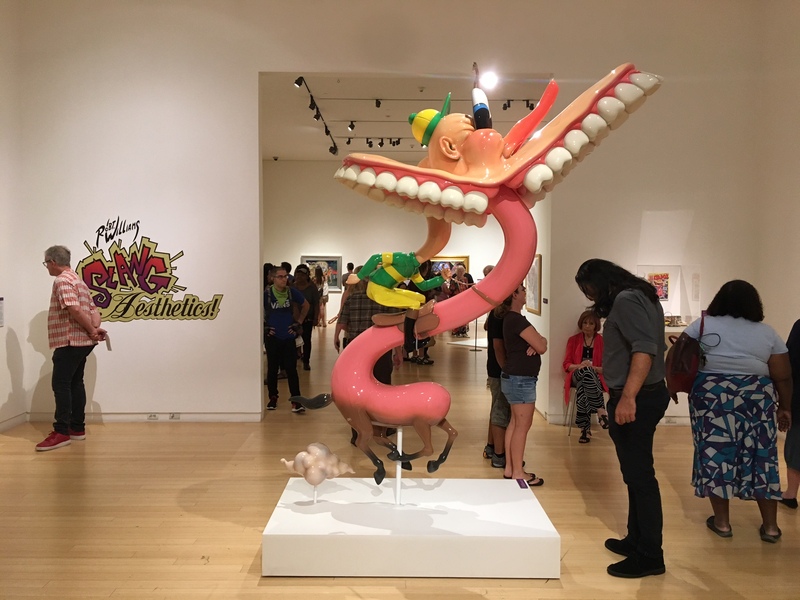 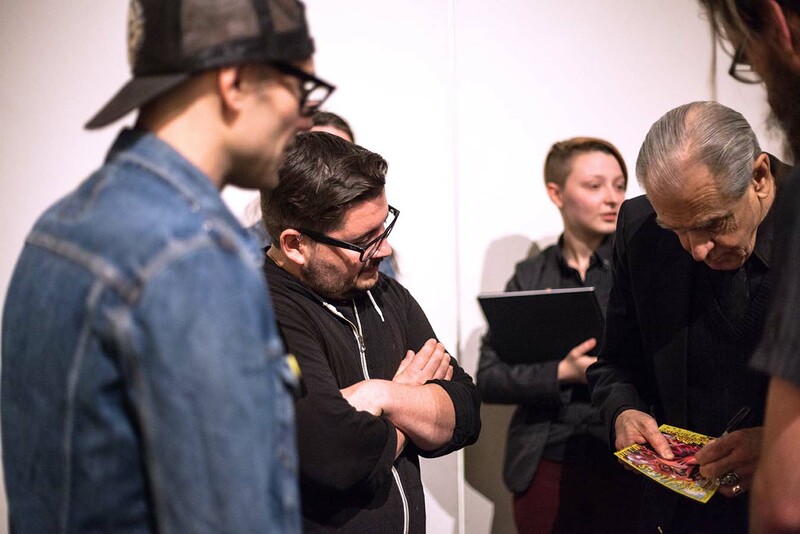 Juxtapozed and Robert Williams: SLANG Aesthetics! 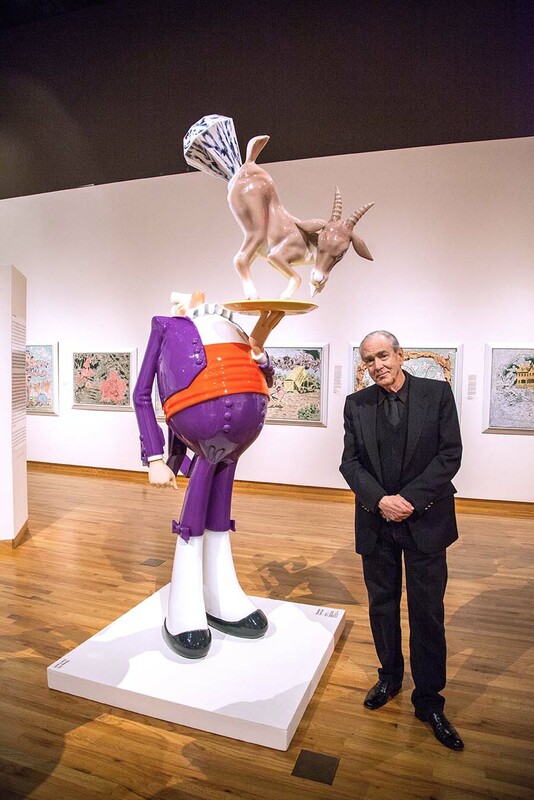 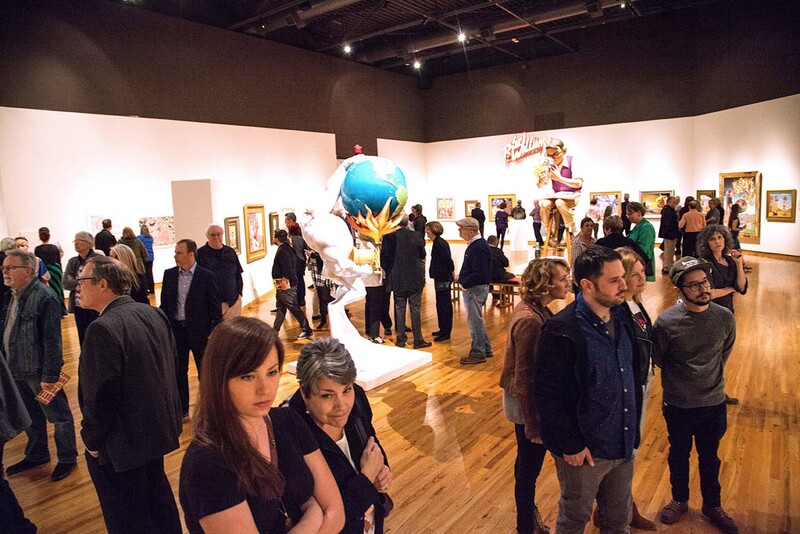 opened on April 21st at the Fort Wayne Museum of Art welcoming over 600 art enthusiasts through its doors. 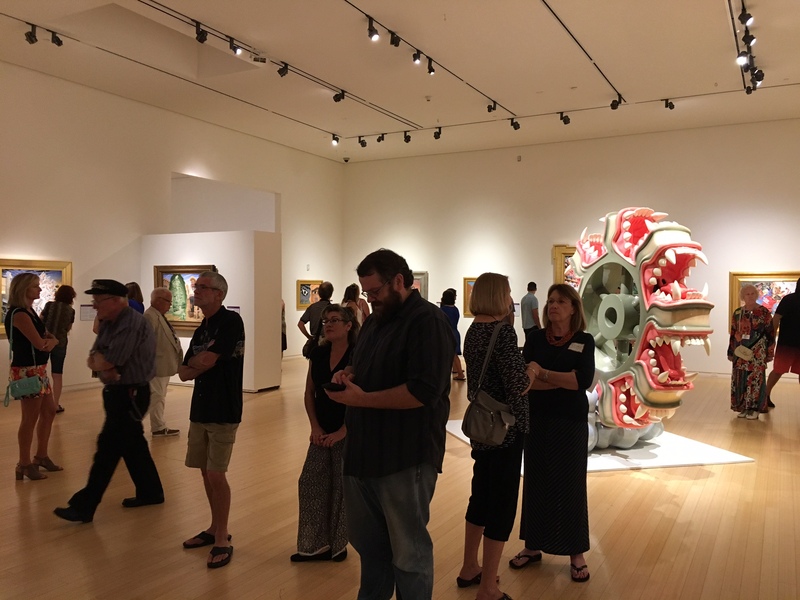 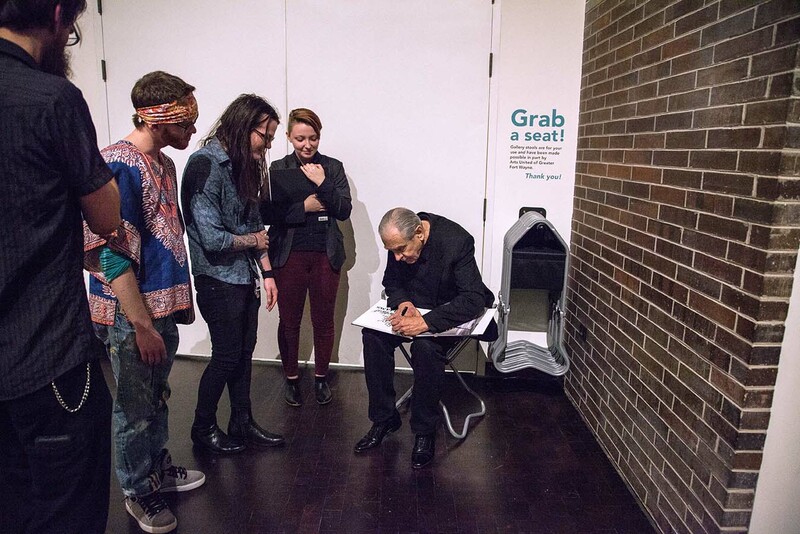 This was the first time Williams has shown in the mid-west, and the exhibition attracted guests from all over the midwest and east coast who drove in to be at the opening. 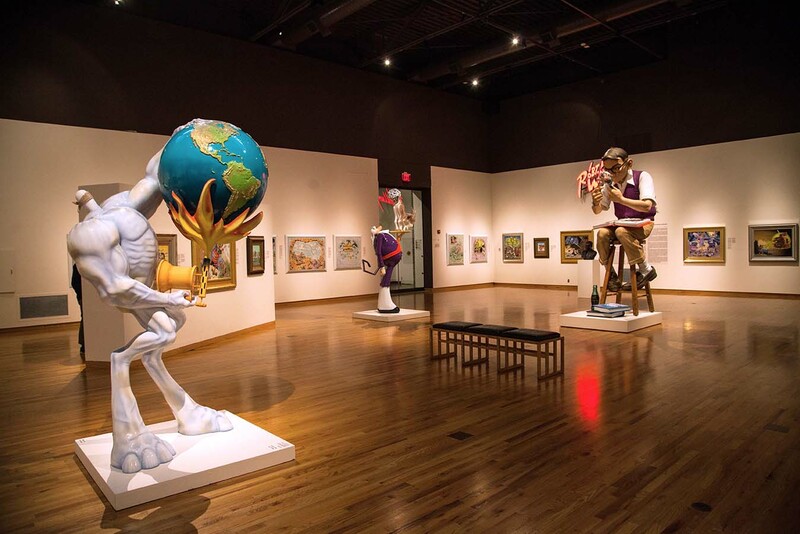 The cities mentioned include Detroit, Kalamazoo, Grand Rapids, Chicago, Cincinnati, Cleveland, Indianapolis, and Pittsburgh to name a few. 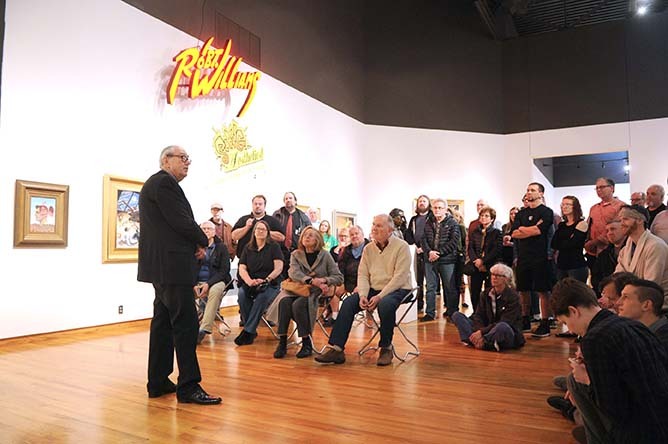 The following day Robert Williams discussed the basics of his work and process while always being considered an outsider in the art world. 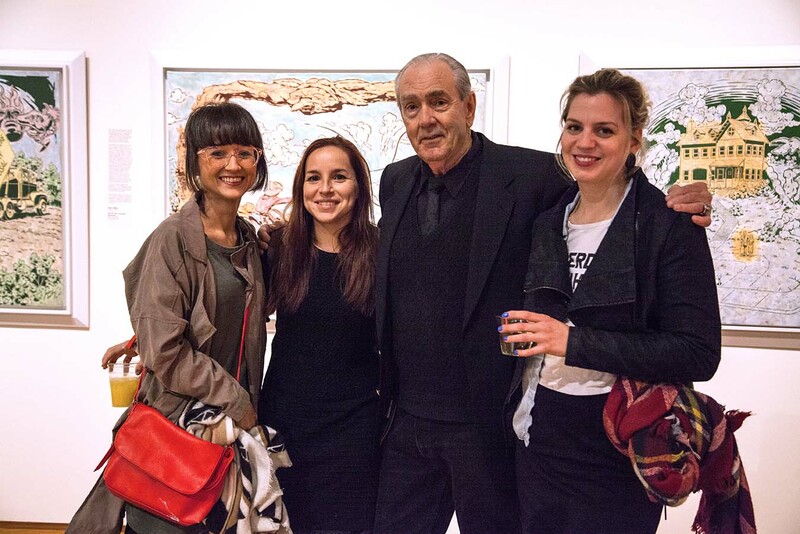 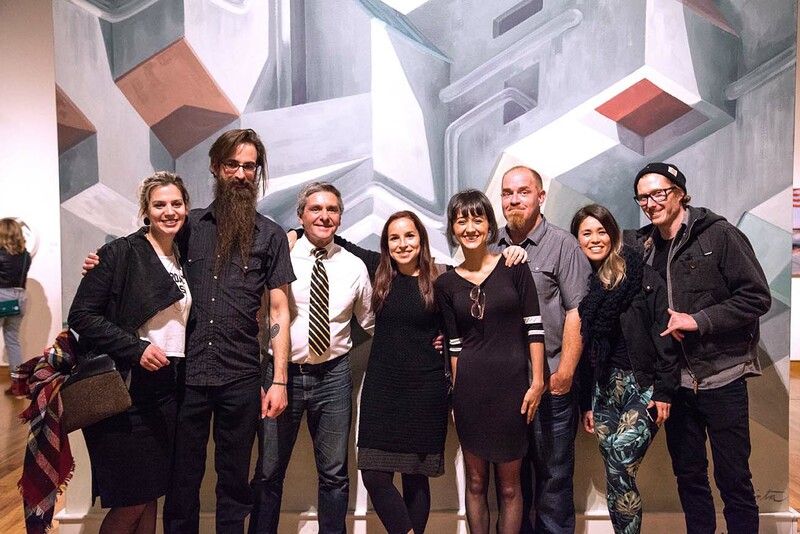 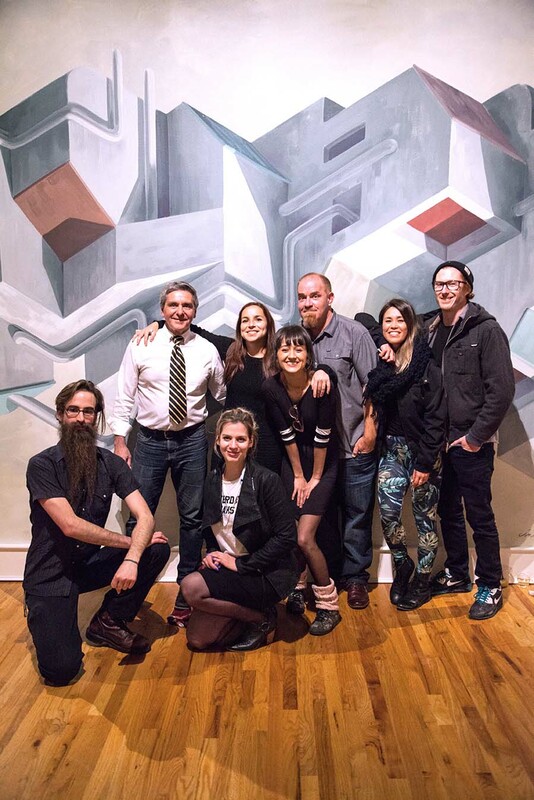 Artists, Laurence Vallieres, Cinta Vidal, Kazu, and Meggs were on hand at the opening for Juxtapozed. 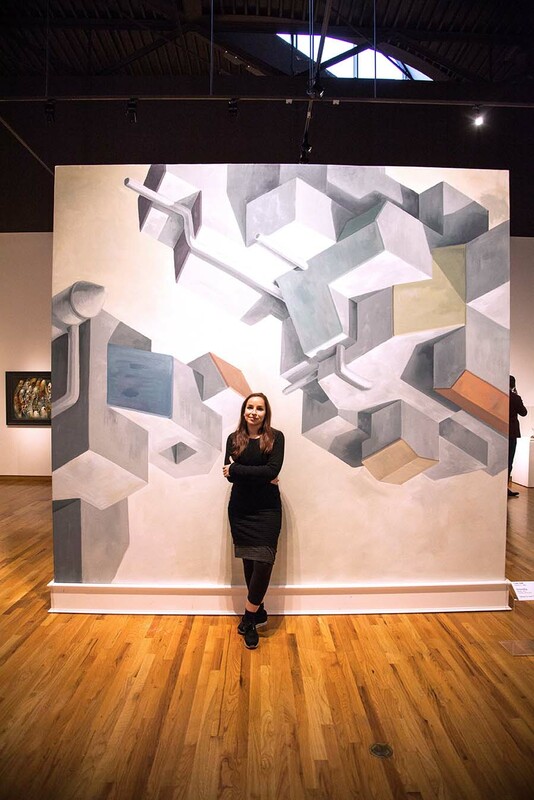 The museum even picked up pieces by Meggs and Cinta Vidal for their permanent collection to commemorate the shows on site murals. 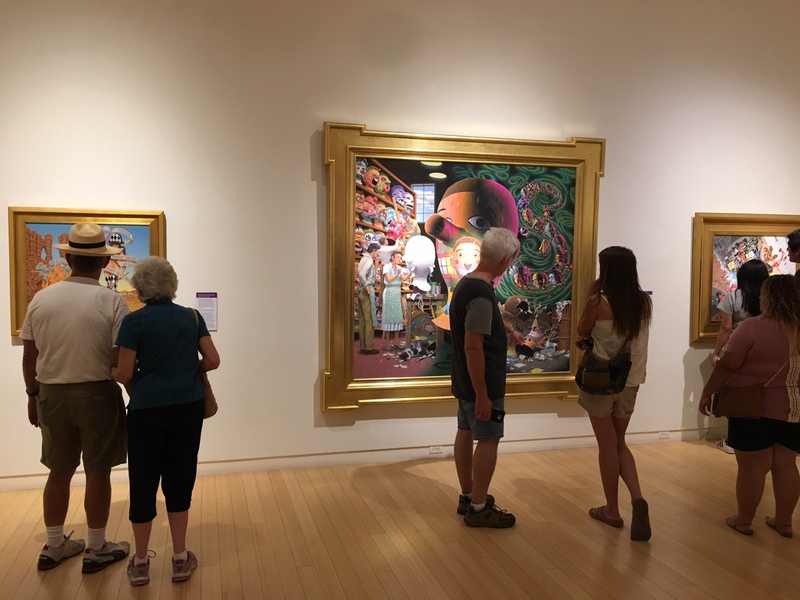 For more information on Juxtapozed and to view the available pieces from the exhibition, please visit the Thinkspace Gallery website. 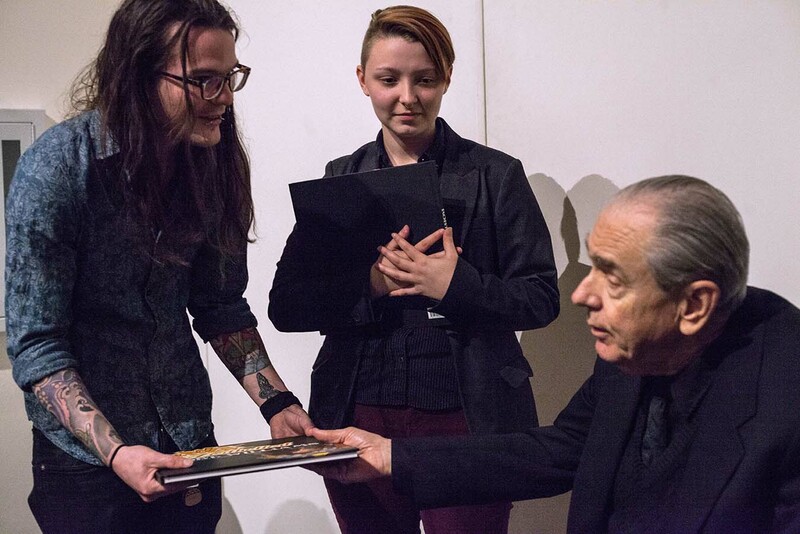 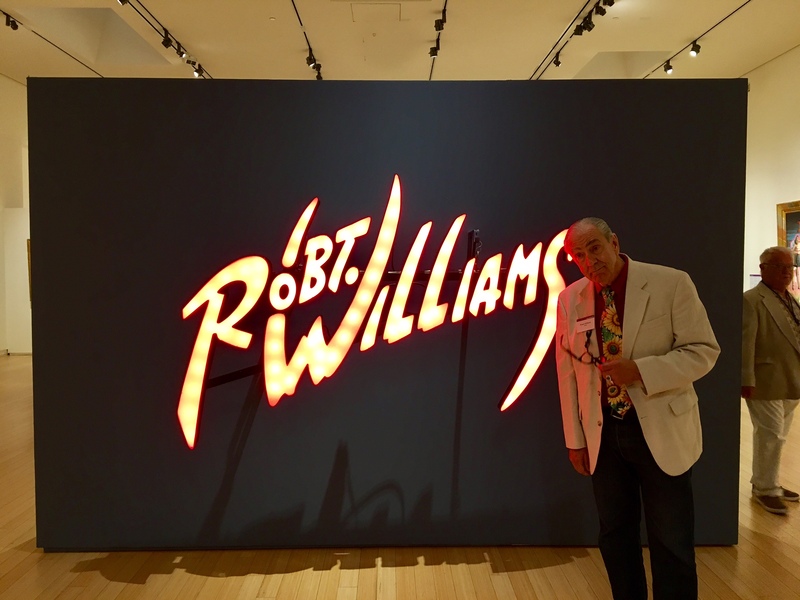 The full press release for Robert Williams: SLANG Aesthetics can be viewed here. 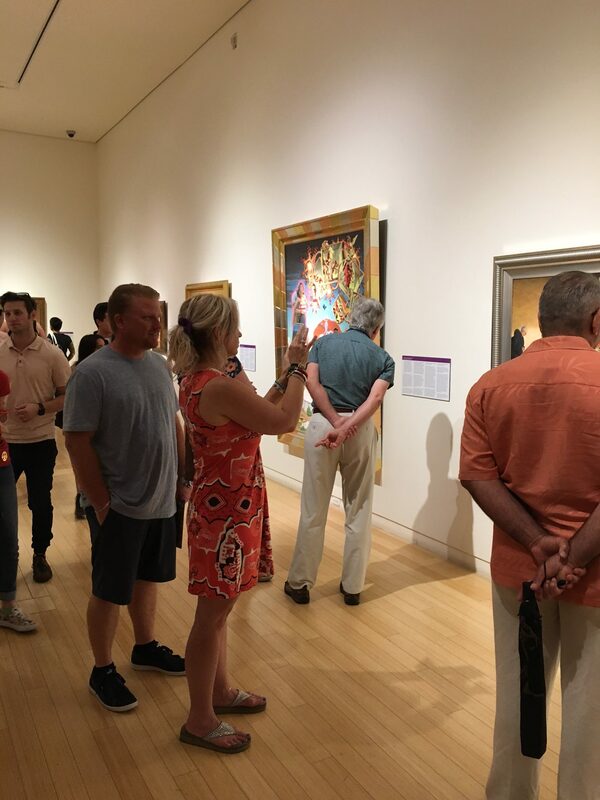 Both exhibitions are on view now through July 9th.